HashFlare service makes mining Cryptocurrency accessible to everyone. No longer it is required to buy expensive equipment and waste your time on setting it up. Simply select the desired power and generate revenue! The most I liked is the dashboard. It provides a platform to invest into many crytos. The withdrawal process is also easy . I opened my account using credit card which itself is a best integration and invested more using the bitcoin which I generated using mining. The best mining I liked is for ethereum and worst at present is bitcoin. The cost factor as I had subscribed for it about an year back but after few months when bitcoin was stable the mining charges got a spike and when the bitcoin started decline they closed the mining . If market works as per the predictions than it is a gold mine to invest at this rate. I am actually invested it for my bitcoin and ethereum mining. "One of the cloud mining platforms"
We can buy Hashrates with credit cards (even under $ 10) and there is no minimum payment by the hashflare, and the ability to purchase through BTC and Payeer is supported. I need to verify my account before I can withdraw my funds, which makes me feel bad. Hashflare is a cloud mining company that now appears to be unprofitable. Hashflare supports only a few algorithms (SHA-256, Scrypt, ETHASH, EQUIHASH). However, ETHASH is only available! What Cryptocurrency Mining solution do you use? Maintenance fee are too high now. balance required for payout is also very high. very bad customer support. HashFlare used to be good but not anymore because of high maintenance fees . half of time what ever i was earning all of that was going into maintenance fees. i don't use HashFlare anymore . 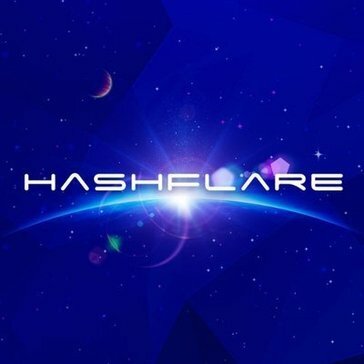 so if you are looking forward to investing in HashFlare do a good research on it first . i use it for cloud crypto currency mining. so i don't have to use my hardware for mining anymore . "I Put the Least Amount In and I'm Still Not Happy"
You will get BTC in return for your initial investment. I do like the concept behind HashFlare, but it still is not worth the investment. There is a really slow return on your initial investment. There is a lack of update services as well. I would not recommend others to use HashFlare. I would recommend other investments, such as stocks or investing in crytocurrency. I am looking for investment opportunities. There is little potential with HashFlare thus far. If you wait a long time you will see some return, but you would have to wait a long time before that is a possibility. "Not sure if it is a legit or scam"
The interface was easy to understand and navigate. Lack of transparency and the fact that they can overwrite their exisitng policies. They tried to help those who want to get into the mining business without the necessary equipment. Taken a percentage fee, I could earn BTC from them. * We monitor all HashFlare reviews to prevent fraudulent reviews and keep review quality high. We do not post reviews by company employees or direct competitors. Validated reviews require the user to submit a screenshot of the product containing their user ID, in order to verify a user is an actual user of the product. Hi there! Are you looking to implement a solution like HashFlare?